Facial skin – is everything. This business card of any woman. It is for her as can be judged on the age and degree of grooming beautiful half of humanity. Well, who among us does not dream of staying young as long as possible? Pawn fine appearance in the right skin care. Unfortunately, quite often, our skin does not receive proper care, then from what we ourselves suffer.We’ll tell you about the secrets of caring for your skin. On the skin it is necessary to think in his early youth. Today we talk about skin care face 20 years. This is the main and basic skin care, which is still in force young age does not include anti-aging programs, anti-aging focus, but is a powerful prevention of wrinkles in the future and the perfect start to skin care, which after 25 years will have to adjust a few, because, as many of us know, the first wrinkles tend to appear just after 25 years. In the meantime, you do not have 25, you certainly can sigh with relief, but should not relax in any case. Typically, in this age of teenage issues already far behind, our skin is not so picky, but now it requires systematic care. Here are the main steps that should be applied morning and evening: 1. Cleansing . Certainly all of us have long known that wash soap is not recommended, because it destroys the natural fatty sheath of our skin and can cause a lot of trouble, for example, causing excessive dryness, followed by the appearance of premature wrinkles. Well, who cares? Therefore to give preference to special cleanser. First, you need opredilit type your skin and to choose the right tool for you. Oily skin . For owners of oily skin as a cleansing agent is better to use gels for washing. They are excellent udalat excess fat from the skin, good for cleansing the skin, tightens pores and refresh. Dry skin . Having dry skin is desirable to use a milk cleanser. Even during purification it moisturizes the skin, without drying it, and are very careful to sensitive skin. Normal and mixed skin . To cleanse is recommended to use foam cleanser or mousses. How pravailo they ph-neutral, do not have much effect on the skin, their main task – cleaning. 2. Toning . After cleaning requires toning. 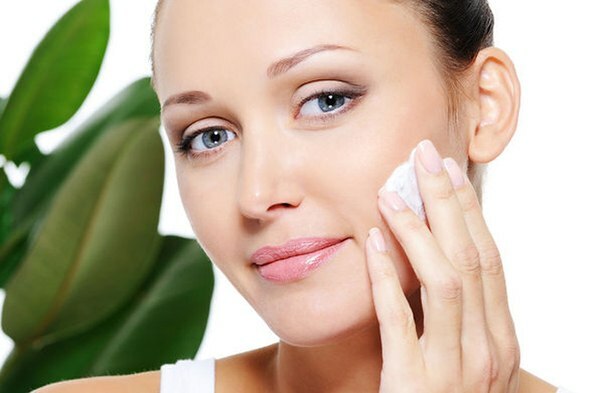 It is an integral part of skin care, which is a continuation of cleansing and moisturizing the beginning. What gives us a tonic? Moreover, it removes makeup residues, contamination after washing, tones the skin, it also gives it elasticity, vitality, radiance and freshness. Any type of skin is not recommended to use tonics containing alcohol. As the saying goes, this is the last century. Judge for yourself – very strong alcohol dry out the skin, takes away moisture, and even oily skin, it will not benefit. Oily skin . Use tonics with direction by narrowing of pores, with matte effect. Dry skin . It is best to apply the tonic with moisturizing effect, soothing, emollient based on natural ingredients. normal or combination skin . This skin does not hurt either tonic, tightens pores, no tonic with moisturizing effect, but the main thing here is not to overdo it. So just choose a neutral tonic, after which your skin comfortable. 3. Moisturize . Yes, the time has come. And no matter what until the first wrinkle you still have time left, prevention need to be addressed now. Environment negatively affects the state of our skin overdrying it, borrowing from its layers, so our skin needs constant maintenance of the required amount of moisture in the epidermis for its normal functioning, and therefore healthy, smooth, radiant complexion for our beauty. Oily skin . Better not to use moisturizers, because it will be difficult to get rid of the treacherous luster to shine and skin will be oily. In your case, the ideal option would be a light moisturizing gel. It is instantly absorbed, gives the skin the necessary moisture and even matiruet it. Dry skin . In your case like no other suitable moisturiser, and any fat, or moisturising lotion.However, remember that summer still have to choose the cream easier, and in the winter fatter. It fills the skin with moisture and protects it from all kinds of adverse effects. normal or combination skin . It is recommended to use an emulsion. It is not as heavy and thick as cream, but not as light as a gel. The golden mean – exactly what you need. 4. Nutrition . As a rule, young skin nutrition is best to think in winter. 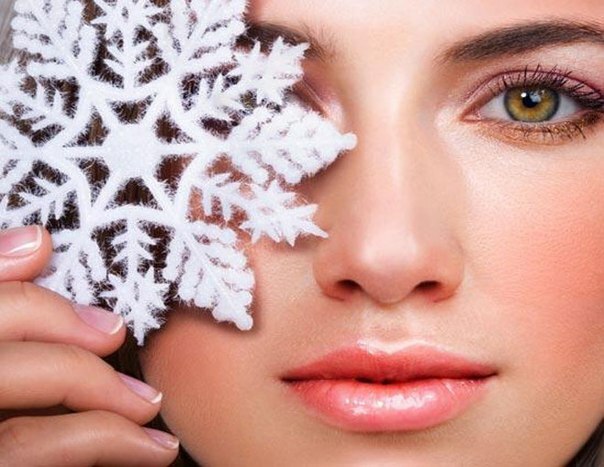 Summer do not overload our skin unnecessary cosmetics, well in winter – you know. Nipping frost, temperature, over-dried indoor air, high humidity in the street – in a word, a disaster and a real threat to our beauty. But there is no cause for concern. Use a nourishing cream. Regardless of your skin type, it must be sufficiently dense and bold, to protect the skin from your face all these misfortunes. Use it as well as a year-round system and basic care, morning and evening, but remember that morning cream should be applied to face at least 40-60 minutes before going outside, especially in winter. And coming into the room with the air overdried, remove unwanted remnants of cream cloth. 5. Exfoliate , it is peeling . Using scrubs is important for proper care of our skin. However, it is worth remembering that the peeling is not recommended to do more than 1 time per week, and the owners of dry and sensitive skin – even less. Peeling is designed to remove dead skin cells from the surface of our skin and to give it a fresh color. Using scrubs designed to make our skin soft as a baby’s. Purchase scrubs with exfoliating particles and gently massaged in a circular apply on the skin once a week.